Ian A. Laird is chair of the firm's International Dispute Resolution Group and an adjunct professor at Columbia University School of Law and Georgetown University Law Center. He represents a range of clients in international arbitration proceedings involving disputes between corporations and foreign sovereign governments. For over 20 years, Ian has counseled parties in investment arbitrations under the provisions of NAFTA, CAFTA-DR, the Energy Charter Treaty (ECT), and other international investment agreements, typically applying the arbitration rules of ICSID or UNCITRAL. In 2018, Ian was named to the National Law Journal’s "ADR Champions" list. With extensive experience representing Fortune 500 clients, Ian advises corporations on geopolitical concerns when their investments face challenges overseas. He has worked extensively with clients involving issues in the energy and natural resources sector – such as power generation, oil and gas, and mining. As a former chief of staff to a Canadian cabinet minister and a senior political aide to the Ontario Minister of Energy, Ian has run political campaigns and understands the intimate workings of government and politics, as well as their impact on industry. Ian's experience includes working on the earliest NAFTA investor-state arbitrations involving cases against each of the three NAFTA state parties, and most recently has handled high profile gold and uranium mining arbitrations. He is currently counsel on numerous international arbitrations and disputes, most recently involving Egypt, Kuwait, the Dominican Republic, El Salvador, Lithuania, Kazakhstan, Mongolia, and Turkey. Ian serves as co-director of the International Investment Law Center (International Law Institute) and is currently an observer delegate to the UNCITRAL Working Group III deliberations on the reform of investment arbitration on behalf of the ILI. He has co-edited or co-authored 17 books, including the book series Investment Treaty Arbitration and International Law (volume 11 was recently published by Juris Publishing). He is co-author (with Kabir Duggal and Frederic Sourgens) of Evidence in International Investment Law (OUP, 2018). Ian is the co-founder, chair of the Editorial Advisory Board, and former editor-in-chief of InvestmentClaims.com (published by OUP), a leading resource in the field of investment arbitration. Ian is a D.C.-licensed Special Legal Consultant based in the firm's Washington office. Appointed as claimant-appointed arbitrator in an ICSID arbitration under the Agreement between Bosnia and Herzegovina and the Republic of Slovenia for the Reciprocal Promotion and Protection of Investments, (Viaduct et al v. Bosnia and Herzegovina, ICSID Case No. ARB/16/36). Appointed as claimant-appointed arbitrator in an UNCITRAL arbitration under the Agreement Between Bosnia and Herzegovina and the Republic of India for the Promotion and Protection of Investments, (Aggarwal et al v. Bosnia and Herzegovina, PCA Case N° 2018-03). Representing a multinational joint venture in a $1.2 billion commercial dispute with a North African State Enterprise under the ICC Rules of Arbitration. Representing a Middle Eastern client in a $40 million shareholder dispute with a Hong Kong claimant under the ICC Rules of Arbitration. Represented an Egyptian respondent in an ICC arbitration respecting an $80 million supply agreement dispute. Acted as a Sole Arbitrator in an ICC supply agreement dispute between American and British parties. Represented an Italian investor in a dispute against Lithuania in an UNCITRAL arbitration under the Italy-Lithuania BIT. The dispute arose in relation to that State's unfair and inequitable treatment of the investor's investment in the country's alcohol industry. (Bosca v. Lithuania). Represented numerous U.S.-based, Fortune 500 clients to provide advice on international law and arbitration, in particular with respect to the application of NAFTA. Acted as Sole Arbitrator in ICC contract dispute between American and Italian parties. Admitted to practice in Ontario, Canada, and licensed to practice as a Special Legal Consultant in the District of Columbia. "Corruption After Establishment: Should it Disqualify Otherwise Meritorious Claims?" 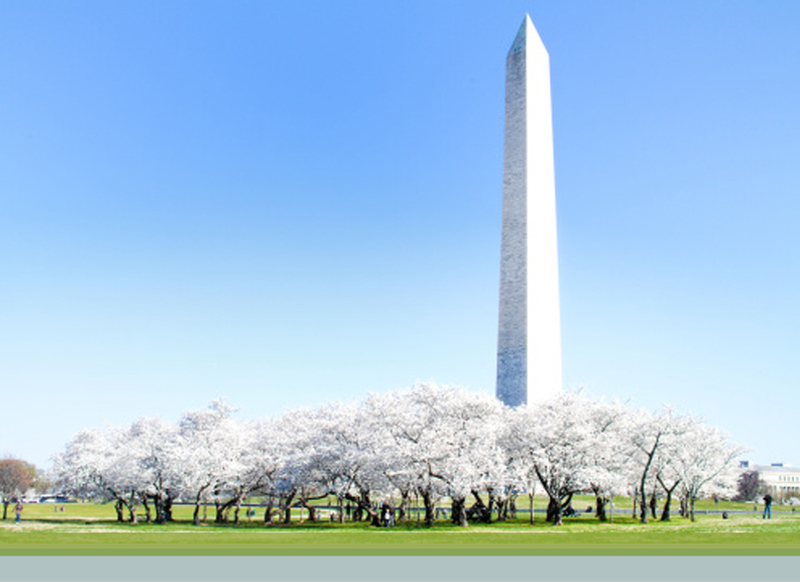 Juris Conferences – Thirteenth Annual Investment Treaty Arbitration Conference, Washington, D.C. (April 8, 2019). Panelist: Ian A. Laird. Third Oxford University Press Investment Claims Summer Academy, Kellogg College, Oxford, UK (July 5-6, 2018). Co-Chair and presenter: Ian A. Laird. Book Launches for "Evidence in International Investment Arbitration," Oxford University Press: New York, New York, April 23, 2018, NYIAC; London, UK, July 4, 2018, Queen Mary College, University of London; Washington, DC, September 13, 2018, ICSID. Presenter: Ian A. Laird. "Practical Strategies in the Arbitration of International Disputes involving State-Owned Entities," 2018 CIArb Conference, Washington, D.C. (April 3, 2018). Moderator: Ian A. Laird. "Be Careful What You Ask For: Can Recent Changes to BIT Models Satisfy ISDS Sceptics and Opponents?" Juris Conferences – Twelfth Annual Investment Treaty Arbitration Conference, Washington, D.C. (March 6, 2018). Panelist: Ian A. Laird. "Fall 2017 International Investment Law and Policy Speaker Series," Columbia Center on Sustainable Investment, Columbia Law School, New York, NY (September 19, September 25, October 2, November 6, November 13, and November 20, 2017). Co-Moderator: Ian A. Laird. "Double Trouble? Dealing Effectively with Parallel Court and Arbitration Proceedings in the Americas and Europe," ABA Section of International Law's 2017 Fall Conference, Miami, FL (October 26, 2017). Presenter: Ian A. Laird. Second Oxford University Press Investment Claims Summer Academy, Lady Margaret Hall, Oxford, UK (July 6-7, 2017). Co-Chair and presenter: Ian A. Laird. "Evidence ... or the Lack Thereof: Dealing with Allegations of Corruption in International Arbitration," ABA-2017 Section of International Law Spring Meeting, Washington, D.C. (April 26, 2017). Presenter: Ian A. Laird. "Technology, IP and Investor-State Arbitration," Juris Conferences – Eleventh Annual Investment Treaty Arbitration Conference, Washington, D.C. (April 25, 2017). Conference Co-Chair: Ian A. Laird. "Corruption in Investment Arbitration," Georgetown International Arbitration Society, Washington, D.C. (April 5, 2017). Presenter: Ian A. Laird. "Khan Resources Arbitration," Stikeman Elliott at PDAC 2017, Toronto, Canada (March 6, 2017). Presenter: Ian A. Laird. Northwind's 2016 Mining Invitational Forum, Cambridge, Ontario, Canada (November 21, 2016). Presenter: Ian A. Laird. "Arbitrator Independence, Impartiality, and Disclosure Re-Visited," ICC Canada International Arbitration Conference, Toronto, Ontario (October 14, 2016). Speaker: Ian A. Laird. "Renewable Energy and Investment Arbitration,” Third Houston Annual Conference on Oil and Gas Investment Arbitration, Houston, TX (September 16, 2016). Conference Co-Chair and Panel Moderator: Ian A. Laird. "Fall 2016 International Investment Law and Policy Speaker Series," Columbia Center on Sustainable Investment, Columbia Law School, New York, NY (September 12, September 26, October 4, October 17, October 24, October 31, and November 7, 2016). Co-Moderator: Ian A. Laird. "Investment Issues - Trade Agreement Monitoring and Implementation,” Foreign Service Institute, Arlington, VA (July 27, 2016). Lecturer: Ian A. Laird. "Transparency in Investment Arbitration," The Fifth Biennial Global Conference of the Society of International Economic Law (SIEL), Oliver Schreiner School of Law and Mandela Institute, University of the Witwatersrand, Johannesburg, South Africa (July 8, 2016). Speaker: Ian A. Laird. “A Celebration of Ten Years of Leading-Edge Research, Debate and Discussion,” Juris Conferences – Tenth Annual Investment Treaty Arbitration Conference, Washington, D.C. (May 12-13, 2016). Conference Co-Chair and Presenter: Ian A. Laird. “Hawai’i as the New Forum for Investor-State Arbitration in TPP and US-ASEAN?” Conference on Hawai’i: Catalyzing the US-ASEAN Partnership, William S. Richardson School of Law, University of Hawai’i, Honolulu, Hawai’i (April 16, 2016). Lecturer: Ian A. Laird. "Investment Issues - Trade Agreement Monitoring and Implementation,” Foreign Service Institute, Arlington, VA (April 1, 2016). Lecturer: Ian A. Laird. "TTIP and the Future of Investment Treaty Arbitration," Georgetown International Arbitration Month, Georgetown University Law School, Washington, D.C. (February 5, 2016). Moderator: Ian A. Laird. "The Transpacific Partnership: Promise or Peril," Canada-U.S. Law Institute Distinguished Lecture, Western Law School, London, Ontario, Canada (November 16, 2015). Lecturer: Ian A. Laird. "Fall 2015 International Investment Law and Policy Speaker Series," Columbia Center on Sustainable International Investment, Columbia Law School, New York, NY (September 24, October 8, October 15, November 5, November 12, 2015; and February 4, 2016). Co-Moderator: Ian A. Laird. "Ensuring Your Tribunal Has Jurisdiction," International Arbitration: Keeping One Step Ahead of Your Opponent, Crowell & Moring, Brussels, Belgium (October 29, 2015). Presenter: Ian A. Laird. First Annual Oxford Investment Claims Summer Academy, St. Anne's College, Oxford, UK (July 13-14, 2015). Co-Chair: Ian A. Laird. "Alternative Means of Enforcement: Enforcing Commercial Arbitration Awards through Investment Arbitration," Harvard International Arbitration Conference, Harvard Law School, Cambridge, MA (April 10, 2015). Speaker: Ian A. Laird. "Spring 2015 International Investment Law and Policy Speaker Series," Columbia Center on Sustainable International Investment, Columbia Law School, New York, NY (January 22, January 29, February 5, February 11, March 12, March 26, and April 2, 2015). Co-Moderator: Ian A. Laird. "Investment Treaty Arbitration and Natural Resources," Juris Conferences – Ninth Annual Investment Treaty Arbitration Conference, Washington, D.C. (February 26, 2015). Conference Co-Chair: Ian A. Laird. "Corrupting Investor State Arbitration? The Role of Corruption Allegations in IIA Proceedings," Oxford University Press Investment Claims Webinar Series (February 20, 2015). Moderator: Ian A. Laird. "New Trends in Investor-State Dispute Settlement," Georgetown International Arbitration Month, Georgetown University Law School, Washington, D.C. (February 9, 2015). Speaker: Ian A. Laird. "Is the Vienna Convention on the Law of Treaties Dead in BIT Arbitration?" Oxford University Press Investment Claims Webinar Series (October 20, 2014). Moderator: Ian A. Laird. "Arbitrators Perspective: The Conundrum: Quantification of Damages, and what is reasonably viewed as proven versus speculative," Juris Conferences – Third Annual Damages in International Arbitration Conference, New York, NY (October 6, 2014). Panelists: George D. Ruttinger and Ian A. Laird. "Interim Relief in Investment Treaty Arbitration," 2014 Conference on Interim Measures in International Arbitration (APR) (April 24, 2014). Presenter: Ian A. Laird. "Spring 2014 International Investment Law and Policy Speaker Series," Vale Columbia Center on Sustainable International Investment, Columbia Law School, New York, NY (January 30, February 6, February 20, February 27, March 6, March 27, April 3, and April 10, 2014). Co-Moderator: Ian A. Laird. "New Developments in Investment Treaty Arbitration: A Return to Fundamentals?" Juris Conferences – Eighth Annual Investment Treaty Arbitration Conference, Washington, D.C. (March 28, 2014). Conference Co-Chair: Ian A. Laird. "Protecting Israeli Investors and Industries Doing Business Overseas: International Investment Law and Investment Treaty Arbitration," Peres Academic Center and Crowell & Moring Conference, Rehovot, Israel (January 30, 2014). Presenters: Stuart H. Newberger, Ian A. Laird, Terry Rea, Jonathan S. Kallmer, and Claire Stockford. "International Investment Agreements and Investor-State Arbitration," International Law Institute, Annual Two Week Program, Washington, D.C. (December 2-13, 2013). Course Advisor and Faculty Member: Ian A. Laird. "The Mechanics of Third Party Funding of International Arbitration," YCAP Fall 2013 Symposium, in conjunction with ADR Institute of Canada and ICC Canada, Toronto, Ontario (October 24, 2013). Speaker: Ian A. Laird. "Investor-State Dispute Resolution in the Energy Sector," Juris Conferences - Seventh Annual Investment Treaty Arbitration Conference, Washington, D.C. (April 22, 2013). Conference Co-Chair: Ian A. Laird. "Spring 2013 International Investment Law and Policy Speaker Series," Vale Columbia Center on Sustainable International Investment, Columbia Law School, New York, NY (January 31, February 14, February 28, March 7, March 14, March 28, April 4, 2013). Co-Moderator: Ian A. Laird. "Remedies Alternative to Damages," Columbia Arbitration Day 2013, Columbia Law School, New York, NY (March 8, 2013). Speaker: Ian A. Laird. "International Investment Agreements and Investor-State Arbitration," International Law Institute, Annual Two Week Program, Washington, D.C. (November 26-December 7, 2012). Course Advisor and Faculty Member: Ian A. Laird. "Lifting the Corporate Veil: Investor Nationality and Denial of Benefits in Recent Investor-State Arbitral Awards," NYU Law School, Investment Law Forum, New York, NY (November 19, 2012). Speaker: Ian A. Laird. "New Developments in International Arbitration: Regional Perspectives," ICC Canada 2012 International Arbitration Conference, Montreal, Quebec (October 26, 2012). Speaker: Ian A. Laird. "NAFTA, CAFTA and Beyond? Investment Protection in the Americas," Juris Conferences - Sixth Annual Investment Treaty Arbitration Conference, Washington, D.C. (March 27, 2012). Conference Co-Chair: Ian A. Laird. "Rebalancing the Investment Arbitration Regime: Implications for International Commercial Arbitration," Columbia Arbitration Day 2012, Columbia Law School, New York, New York (March 23, 2012). Speaker: Ian A. Laird. "Balance and International Investment Arbitration," University of Western Ontario Law School, London, Ontario (November 30, 2011). Speaker: Ian A. Laird. "International Investment Agreements and Investor-State Arbitration," International Law Institute, Annual two week program, Washington, DC (November 7-18, 2011). Course Advisor and Faculty Member: Ian A. Laird. "International Law: Investor-State Arbitration in the Americas: Update on CAFTA and NAFTA," Joint Canadian Bar Association, ABA program, Toronto and Washington, DC webinar (October 13, 2011). Program Co-Chair and Moderator: Ian Laird. "ILI and ICSID Discussion on Trends for Developing Countries in Investor-State Arbitration," CSO Forum at the World Bank, Washington, D.C. (September 23, 2011). Panelist: Ian A. Laird. "NAFTA Practitioners' Perspective," U.S. - Mexico Chamber of Commerce conference titled “NAFTA: The Agenda for Sustainable Growth and Competitiveness” (May 19, 2011). Speaker: Ian A. Laird. "The Future of ICSID," Juris Conferences - Fifth Annual Investment Treaty Arbitration Conference, Washington, D.C. (April 5, 2011). Conference Co-Chair: Ian A. Laird. International Law Institute, Annual two week program on "International Investment Agreements and Investor-State Arbitration" (November 1-12, 2010). Course Advisor and Faculty Member: Ian A. Laird. "Investment Arbitration in the Asia-Pacific Region," Juris Conferences - Fourth Annual Investment Treaty Arbitration Conference, Washington, D.C. (April 30, 2010). Conference Co-Chair: Ian A. Laird. "International Investment Arbitration Procedural Roundtable," ABA Section of International Law Spring Meeting, New York, NY (April 15, 2010). Program Chair and Moderator: Ian A. Laird. "Reflections Upon the Idea of International Judicial Review," Professor Thomas Wälde Memorial Symposium, St. Andrews, Scotland (October 16, 2009). Speaker: Ian A. Laird. "New Developments in Canada's Screening of Foreign Investments", Program of the Canadian Bar Association, Ontario Bar Association and in cooperation with the American Bar Association, Washington, D.C. and Toronto, Ontario (September 29, 2009). Program Co-Chair and Moderator: Ian A. Laird. "Canada-USA Border Issues: An New Bridge for Old allies", Joint Program of American Bar Association, Canadian Bar Association and Ontario Bar Association, Washington, D.C. (June 9, 2009). Co-Chair: Ian A. Laird. "Investor-State Dispute Resolution", Seminar on International Legal Issues presented to Government of the Republic of Colombia, Bogota, Colombia (June 5, 2009). Presenter: Ian A. Laird. "Interpretation In Investment Arbitration", Juris Conferences - Third Annual Investment Treaty Arbitration Conference: A Debate and Discussion, Washington, D.C. (April 30, 2009). Conference Co-Chair and Speaker: Ian A. Laird. "International Investment Agreements," APEC Workshop, Faculty Member and member of organizing committee, Week 1: Singapore, May 5-9, 2008; Week 2: Washington, DC, November 3-7, 2008. (November 7, 2008). Faculty Member: Ian A. Laird. "The question of precedent and role of arbitral decisions in international investment arbitration as a form of soft law," Conference: The Hard Edge of Soft Law: The Real Impact of Customary International Law and Soft Law in Canada?, Canadian Bar Association, Toronto, Ontario (October 23, 2008). Presenter: Ian A. Laird. "Investment Agreements and Arbitration: a Driver of Reforms or an Assault on Sovereignty," 18th Economic Forum, Krynica, Poland (September 12, 2008). Speaker: Ian A. Laird. "Second Annual Investment Treaty Arbitration Conference: A Debate and Discussion," Juris Conferences, Washington, D.C. (April 25, 2008). Conference Co-Chair: Ian A. Laird. "The Arbitration Request," Fourth Annual Seminar On International Commercial Arbitration: How To Handle Oil And Gas Industry Cases, American University Washington College of Law, Washington, D.C. (October 9, 2007). Seminar Faculty Member: Ian A. Laird. "The Emerging Jurisprudence of International Investment Law," 9th Investment Treaty Forum Public Conference, British Institute of International and Comparative Law, London, U.K. (September 14, 2007). Event Co-Chair: Ian A. Laird. "Introduction to Investment Arbitration", Lecture to lawyer group from Zhejiang Province, China, International Law Institute, Washington, D.C. (August 24, 2007). Speaker: Ian A. Laird. "National Treatment – Is Discriminatory Intent Relevant?" Juris Conferences - Investment Treaty Arbitration: A Debate and Discussion, Washington, D.C. (May 17, 2007). Moderator: Ian A. Laird. "Canada's Bilateral Investment Treaties: Opportunities and Pitfalls for Canadians Doing Business Abroad," Ontario Bar Association, Toronto, Ontario (November 30, 2006). Speaker: Ian A. Laird. "Fifth Annual Arbitration Symposium, Mock Arbitration," International Chamber of Commerce - Canadian National Committee, Montreal, Quebec (October 27, 2006). Speaker: Ian A. Laird. "Introduction to International Investment Arbitration," Georgetown University Law School, Washington, D.C. (October 23, 2006). Speaker: Ian A. Laird. "Damages and Valuation in International Investment Arbitration," American University Washington College of Law, Washington, D.C. (October 9, 2006). Speaker: Ian A. Laird. "Jurisdiction and Admissibility in Investment Arbitration," "Overlapping Contract & BIT Claims," and "Damages and Valuation in International Investment Arbitration," American University Washington College of Law, Washington, D.C. (September-November, 2005). Speaker: Ian A. Laird. "Fourth Annual Arbitration Symposium," International Chamber of Commerce - Canadian National Committee, Toronto, Ontario (October 28, 2005). Speaker: Ian A. Laird. "Fair and Equitable Treatment: Emergency Exception/State of Necessity," British Institute of International and Comparative Law (BIICL), Investment Treaty Forum, London, U.K. (September 2005). Speaker: Ian A. Laird. "Investment Arbitration: Evolution or Revolution?" Investment Law Symposium, Permanent Court of Arbitration, The Hague (June 29, 2005). Speaker: Ian A. Laird. "Judicial Review of International Arbitral Awards," American University Washington College of Law, Washington, D.C. (November 2004). Speaker: Ian A. Laird. "Investment Claims.com," Oxford University Press (online publication). Co-Founder, Chair, Editorial Advisory Board, and former Editor-in-Chief (2006-2017): Ian A. Laird. "Investment Treaty Arbitration and International Law," Volume 11, Juris Publishing (2018). Co-Editor: Ian A. Laird. "Business Guide to Trade and Investment, Volume 2 - International Investment," ICC Publications (2018). Co-Editor: Ian A. Laird, Borzu Sabahi and Marat Umerov. "Research Perspectives on International Investment Law & Arbitration," Brill Publishing (2018). Series Co-Editor in Chief: Ian A. Laird and Borzu Sabahi. "Evidence in International Investment Arbitration," Oxford University Press (2018). Co-Author: Ian A. Laird, Frederick Sourgens and Kabir Duggal. "The Reign Of Law In International Investment Decision-Making," OUPblog (October 19, 2017). Co-Author: Ian A. Laird. Investment Treaty Arbitration and International Law, Volume 10, Juris Publishing (2017). Co-Editor: Ian A. Laird. Natural Resources and the Law of the Sea, Lawrence Martin, Constantinos Salonidis, Christine Hioureas, eds., International Law Institute: Series on International Law, Arbitration & Practice, Vol. 2, Juris Publishing (2017). Co-General Editors of Series: Ian A. Laird, Borzu Sabahi, Anne Marie Whitesell. "Comprehensive Economic and Trade Agreement, ISDS and the Belgian Veto: A Warning of Failure for Future Trade Agreements with the EU?" 12(4) Global Trade and Customs Journal 1676 (2017). Co-Authors: Ian Laird & Flip Petillion. "TPP and ISDS: The Challenge from Europe and the Proposed TTIP Investment Court," 40(1) Canada-United States Law Journal 106 (2016). Author: Ian A. Laird. "International Investment Law and Arbitration: 2014 in Review," Chapter in Andrea Bjorklund, ed., Columbia Yearbook On International Investment Law & Policy 2014-2015, Oxford University Press (2016). Co-Authors: Ian A. Laird, George D. Ruttinger, and James J. Saulino. "CETA: A Revolutionary Change in Investor-State Dispute Resolution," Commercial Dispute Resolution (CDR) (April 29, 2016). Co-Authors: Ian A. Laird and David Wingfield. Investment Treaty Arbitration And International Law, Volume 9, Juris Publishing (2016). Co-Editor: Ian A. Laird. Interim and Emergency Relief in International Arbitration, Diora Ziyaeva, ed., International Law Institute Series on International Law, Arbitration & Practice, No. 1, Juris Publishing (2015). Co-General Editor: Ian A. Laird. "Creating Conduits: Summary Report of the First Annual Oxford Investment Claims Summer Academy, St. Anne's College (Oxford)" European Journal of International Law Blog (August 12, 2015). Authors, Ian A. Laird, Diane Desierto, and Frédéric G. Sourgens. "International Investment Law and Arbitration: 2013 in Review," Chapter in Karl P. Sauvant, ed., Columbia Yearbook On International Investment Law & Policy 2013-2014, Oxford University Press (2015). Co-Authors: Ian A. Laird and Joanna Coyne. "International Arbitration Is Changing Shape," Law360 (February 11, 2015). Author: Ian A. Laird. "Litigation Forecast 2015: What Corporate Counsel Need to Know for the Coming Year," a Crowell & Moring LLP publication (January 2015). Contributor. Investment Treaty Arbitration And International Law, Volume 8, Juris Publishing (2015). Co-Editor: Ian A. Laird. "JV agreements and the dispute resolution clause: 5 useful points to consider," Inside Counsel (November 19, 2014). Co-Authors: Ian A. Laird and Randa Adra. Revolution in the International Rule of Law: Essays in Honor of Don Wallace, Jr., Juris Publishing (2014). Co-Editor: Ian A. Laird. "Transparency in Investor-State Arbitration," OUPblog (March 3, 2014). Author: Ian A. Laird. Investment Treaty Arbitration And International Law, Volume 7, Juris Publishing (2014). Co-Editor: Ian A. Laird. "The EU Regulation on Bilateral Investment Treaties: A Victory for Certainty," Practical International Corporate Finance Strategies, Vol. 39, No. 1 (January 15, 2013). Co-Authors: Jonathan S. Kallmer, Laurent Ruessmann, and Ian A. Laird. Investment Treaty Arbitration And International Law, Volume 6, Juris Publishing (2013). Co-Editor: Ian A. Laird. "International Investment Law and Arbitration: 2012 in Review," Chapter in Karl P. Sauvant, ed., Columbia Yearbook On International Investment Law & Policy 2012-2013, Oxford University Press (2013). Co-Author: Ian A. Laird. Investment Treaty Arbitration And International Law, Volume 5, Juris Publishing (2012). Co-Editor: Ian A. Laird. "How to Take Advantage of International Investment Agreements to Open Markets and Protect Investments," Law360 (September 24, 2012). Co-Authors: Jonathan S. Kallmer, Ian A. Laird, and George D. Ruttinger. "International investment law and arbitration: 2011 in review," chapter in Karl P. Sauvant, ed., Columbia Yearbook On International Investment Law & Policy 2011-2012, Oxford University Press (2012). Co-Author: Ian A. Laird. "Benefiting from the Investment Rules in a Transatlantic Free Trade Agreement," North American Free Trade & Investment Report, Vol. 22, No. 14 (July 31, 2012). Co-Authors: Jonathan S. Kallmer, Laurent Ruessmann, Ian A. Laird, and Christopher Wilson. Investment Treaty Arbitration And International Law, Volume 4, Juris Publishing (2011). Co-Editor: Ian A. Laird. "International Investment Law Regime and the Rule of Law as a Precondition for International Development," chapter in Todd Weiler and Freya Baetens eds., New Directions in International Economic Law, Martinus Nijhoff (2011). Co-Author: Ian A. Laird. "International investment law and arbitration: 2010 in review," chapter in Karl P. Sauvant, ed., Columbia Yearbook On International Investment Law & Policy 2010-2011, Oxford University Press (2011). Co-Author: Ian A. Laird. Investment Treaty Arbitration And International Law, Volume 3, Juris Publishing (2010). Co-Editor: Ian A. Laird. "International investment law and arbitration: 2008/2009 in review," chapter in Karl P. Sauvant, ed., Columbia Yearbook On International Investment Law & Policy 2009/2010, Oxford University Press (2010). Co-Author: Ian A. Laird. Investment Treaty Arbitration And International Law, Volume 2, Juris Publishing (2009). Co-Editor: Ian A. Laird. "Interpretation in International Arbitration - Through the Looking Glass," chapter in Jacques Werner and Arif Hyder Ali, eds., A Liber Amicorum: Thomas Wälde - Law Beyond Conventional Thought (2009). Author: Ian A. Laird. "Investment Treaty Law: Current Issues III," British Institute of International and Comparative Law (BIICL) (2009). Co-Editor: Ian A. Laird. "Trends In International Investment Disputes: 2007 In Review", chapter in Karl P. Sauvant, ed., Columbia Yearbook On International Investment Law & Policy 2008/2009, Oxford University Press (2008). Co-Author: Ian A. Laird. "Standards of Treatment in International Investment Law: The Move Towards Unification", co-authored with Todd Grierson-Weiler; and "Compliance and Enforcement in International Investment Arbitration", co-authored with Alan S. Alexandroff, chapters in Muchlinski, Ortino and Schreuer eds., The Oxford Handbook of International Investment Law, Oxford University Press (2008). Co-Author: Ian A. Laird. "Fair and Equitable Treatment: Emergency Exception/State of Necessity," Chapter in Investment Treaty Law: Current Issues II, British Institute of International and Comparative Law (BIICL) (2007). Author: Ian A. Laird. "International Legal Developments in Review: 2006 – International Arbitration," 41 The International Lawyer 251 (Summer 2007). Co-Author: Ian A. Laird. "Finality versus Consistency: Does Investor-State Arbitration Need An Appellate System?" 7(2) Journal of Appellate Practice and Process 101 (2006). Co-Authors: Ian A. Laird and Rebecca Askew. "Canada-China Investment - Catching the Dragon by its Tail," 10(2) The Globetrotter 5 (2005). Co-Authors: Ian A. Laird and Rajeev Sharma. "Argentina's Flood of Investor-State Claims," 34(1) ABA International Law (2005). Author: Ian A. Laird. "Canada's Weakening of the International Rule of Law in the NAFTA Zone," Chapter in A. Alexandroff, ed., NAFTA Chapter 11: Balancing Private Interest and Public Purpose, C.D. Howe Institute/Munk Centre for International Studies (2005). Author: Ian A. Laird. "MTD Equity Sdn. Bhd. and MTD Chile S.A. v. Republic of Chile – Recent Developments in the Fair and Equitable Treatment Standard," 1(4) Transnational Dispute Management (2005). Author: Ian A. Laird. "A Community of Destiny - The Barcelona Traction Case and the Development of Shareholder Rights to Bring Investment Claims" and "A Distinction without A Distinction? An Examination of the Concepts of Admissibility and Jurisdiction in Salini v. Jordan and Methanex v. USA", chapters in T.Weiler, ed., Foreign Investment Law and Arbitration: Leading Cases from the 1CSID, NAFTA, Bilateral Treaties and Customary International Law, Cameron (May 2005). Author: Ian A. Laird. "Betrayal, Shock and Outrage - Recent Developments in NAFTA Article 1105," chapter in T.Weiler, ed., NAFTA Investment Law and Arbitration: The Early Years, Transnational Publishers (2004); and 3 Asper Review of International Business and Trade Law 185 (2003). Author: Ian A. Laird. "Judicial Review of Arbitral Awards," Globetrotter - Ontario Bar Association International Law Section Newsletter (2003). Author: Ian A. Laird. "Multilateralism In International Trade Relations: Who is More Committed - Canada or the United States?" 5(2) Cdn. Int. Lawyer 106 (2002). Author: Ian A. Laird. "The ICSID Convention: A Commentary," Book Review, Schreuer, Bus. Law Int. 264 (2002). Author: Ian A. Laird. "The Nuts and Bolts of NAFTA Chapter 11 Arbitrations," chapter on procedure in international mixed arbitrations for Prof. L. Trakman et al. eds., Doing Business in Mexico, Part VI, Chapter 9, Transnational Publishers (2002). Author: Ian A. Laird. "NAFTA Chapter 11 and Chicken Little," 2(1) Chicago Journal of International Law 223 (2002). Author: Ian A. Laird. "Defining International Law: the FTAA, Spray tech, and NAFTA Chapter 11," Globetrotter - OBA International Law Section Newsletter (2001). Author: Ian A. Laird. Resource Nationalism--the Emergence of a New Theme in Arbitration? Feb.28.2019 Crowell & Moring Partner Ian Laird Recognized Among Latinvex’s "Top 100 Lawyers"